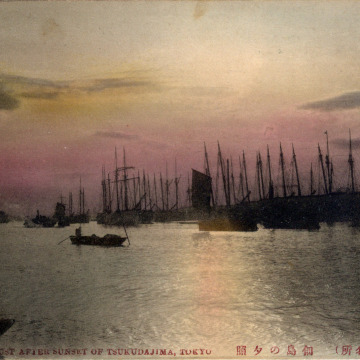 Just after sunset [at] Tsukudajima, Tokyo, c. 1900. 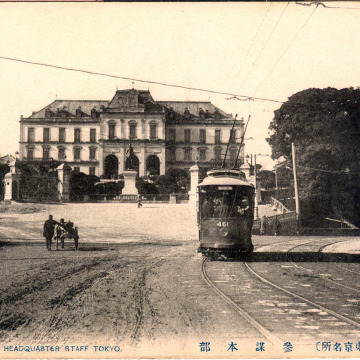 The Headquarter Staff, Tokyo, c. 1910. 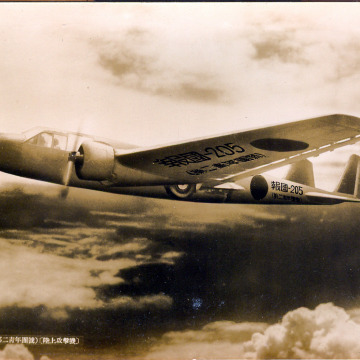 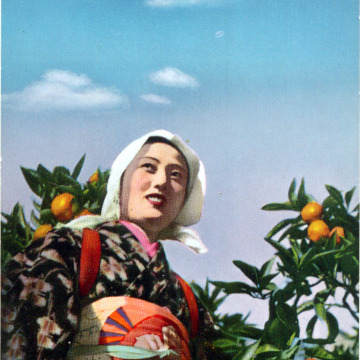 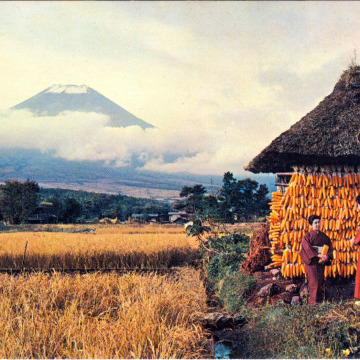 Shizuoka Mikan (Mandarin Orange) Picker, c. 1940. 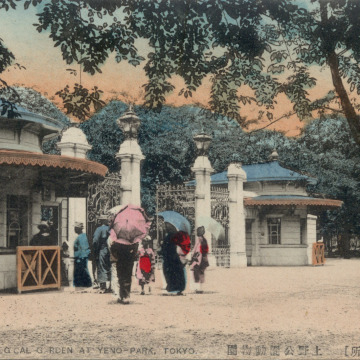 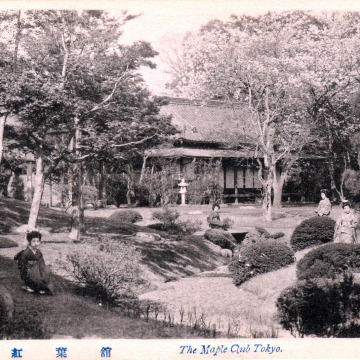 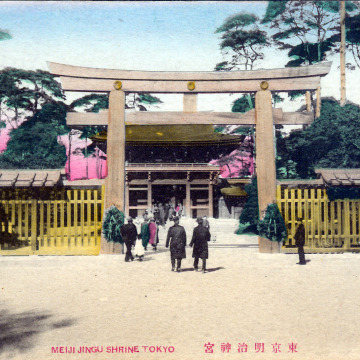 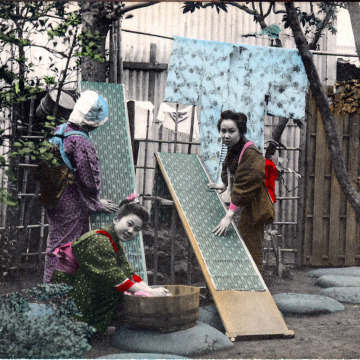 The Maple Club, Tokyo, c. 1920. 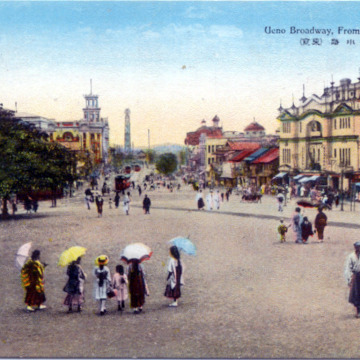 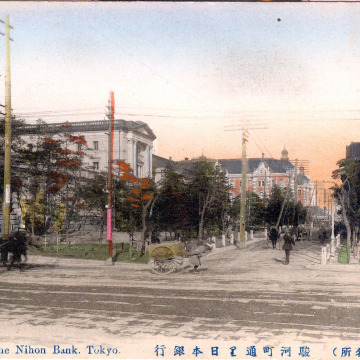 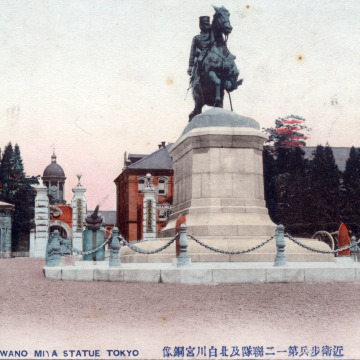 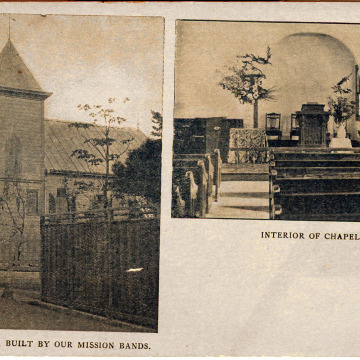 Azabu Chapel, Tokyo, c. 1900. 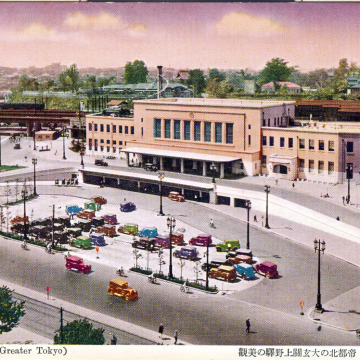 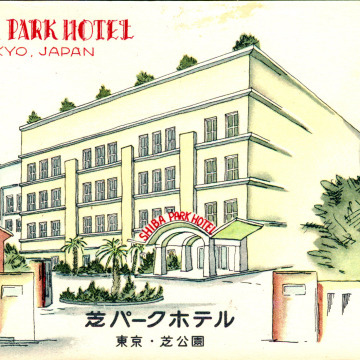 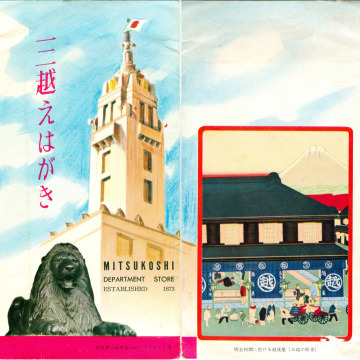 Shiba Park Hotel, Tokyo, c. 1950. 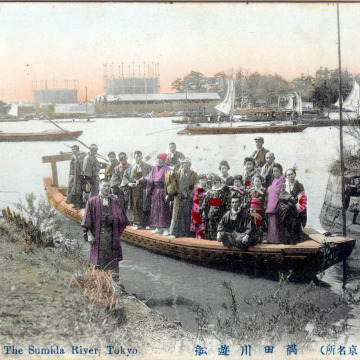 Sumida River Ferry Boats, c. 1910. 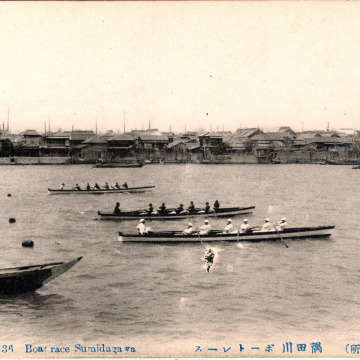 Sumida River Boat Races, c. 1900. 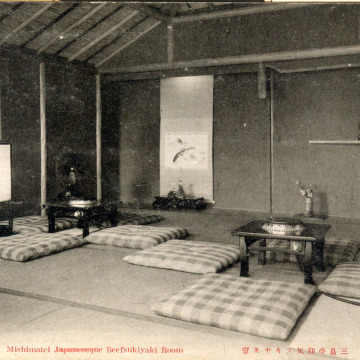 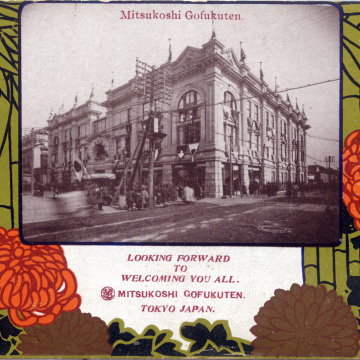 Yaomatsu Restaurant, Mukojima, c. 1910. 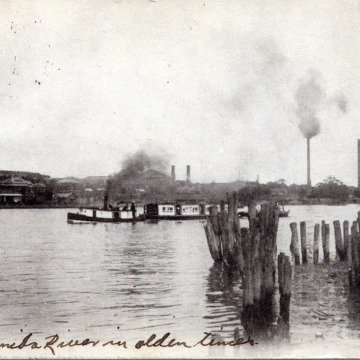 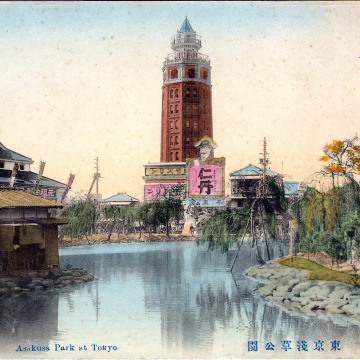 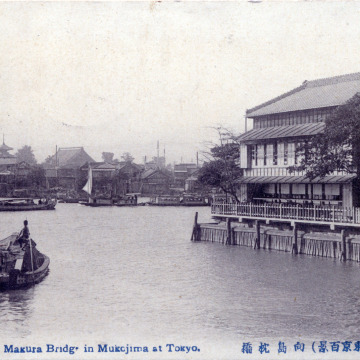 Sumida River at Hashiba, c. 1910.